Randomly giving you "badge ID" or "employee numbers"
Calling from a similar number as your own: Scammers often use software to "mask" where they are really calling from. If your phone number is "312-838-3290", a scammer might call with a number like "312-838-XXXX"
Formally file a report to the FTC here. Formally file a report to the BBB (if valid company) here. Do not return a call from someone claiming to be with the IRS. The real IRS opens communications with a taxpayer only via the U.S. Postal Service. If you're ever in doubt about an IRS matter, call the agency directly at 800-829-1040. Hang up the phone. "Neither Microsoft nor our partners make unsolicited phone calls," says Courtney Gregoire, senior attorney at the Microsoft Digital Crimes Unit. 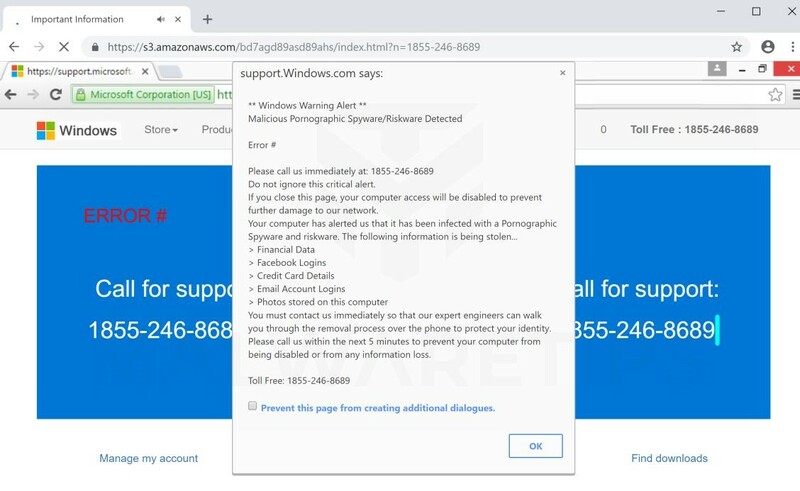 Also, don't click any links in unsolicited emails from "Microsoft" or in pop-up ads promising to speed up your computer. "And if you haven't downloaded Windows 10 or the latest version of OS X, do it," says William Woodworth with Best Buy's Geek Squad. "Each update is free and has lots of new security built in." Ditto for any other software programs you're running. This is also currently very popular with Apple support, and Google services. Phone calls and emails may entail things like “you need to re-verify your apple identity” or “your google account storage limit has maxed out”. Do not EVER provide this information over the phone, or on websites that do not look authentic. “This is an emergency call that the license key of your Microsoft Windows is expired. To renew license key, call 1-800-290-1836,” a bland voice says. Better Business Bureau® serving Central & Eastern Kentucky heard from a Lexington senior citizen who fell for the scam. The woman followed instructions from the caller allowing him access to her Windows laptop. He told her to go to a nearby retailer to buy iTunes cards in the amount of $300 to cover a “3 year license fee.” She did so, and read the numbers off the back of the cards to the caller. When the con artist asked for additional money, she suspected a scam and hung up. 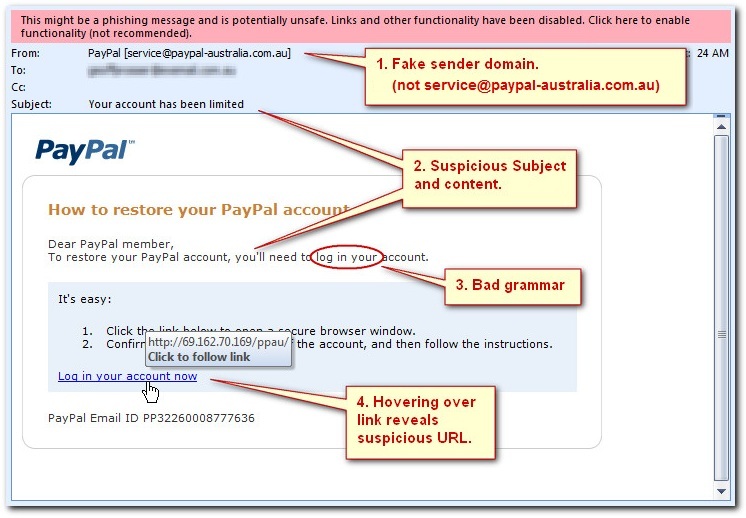 How the Scam Works: Scammers contact you through phone calls, emails, or posts on social media. The government is awarding "free grants" and you are told your application is guaranteed to be accepted, and you will never have to repay the money. * Free money doesn’t come easy. Obtaining a government grant is an involved process. If someone is actively soliciting you to give you money, that’s a red flag that you are dealing with an imposter. * Do not pay any money for a "free" government grant. A real government agency will not ask you to pay an advanced processing fee. * Check for look-alikes. A caller may say he is from the “Federal Grants Administration” – which does not exist. Be sure to do your research and see if an agency or organization actually exists. * Be careful with unsolicited calls asking for your banking information. Scammers will cold call, asking basic questions to see if you qualify for a grant, and then ask for your banking information saying they need to collect a one-time processing fee and directly deposit your money. Telephone fraudsters know that Americans are fed up with high interest rates on their credit card balances and have for years been trying to cash in on that frustration by tricking consumers into paying them as much as several thousand dollars for bogus rate reduction programs. How it works: This con, often initiated by pre-recorded robocallers like “Rachel,” has been going on for years. And despite numerous enforcement actions by the Federal Trade Commission (FTC), it just won’t go away. Bikram Bandy, coordinator of the FTC’s Do Not Call Program, says he is concerned that many people are falling for the scam – and losing money – when offered the “too-good-to-be true” promise of unrealistically low interest rates. Like most telemarketing frauds these days, this scam typically starts with a recorded message from “credit services” or “card member services,” often in the voice of “Rachel” but also from others, saying you qualify for a special interest rate reduction program that will help you pay off your balance sooner. Most romance scams start with fake profiles on online dating sites or social media created by stealing photos and text from real accounts. "Scammers often claim to be in the military or working overseas to explain why they can't meet you in person. Over a short period of time, the scammer builds a fake relationship with you, exchanging photos and romantic messages, even talking on the phone or through a webcam," Barr explained. "Just when the relationship seems to be getting serious, your new sweetheart has a health issue or family emergency, or wants to plan a visit. No matter the story, the request is the same: they need money. But after you send money, there's another request, and then another. Or the scammer stops communicating altogether. You may also hear some romance schemes referred to as 'catfishing,'" Barr continued. Too good to be true: Scammers offer up good-looking photos and tales of financial success. If they seem "too perfect," your alarm bells should ring. Be wary if the person you're talking to is in a hurry to get off the site: Catfishers will try very quickly to get you to move to communicating through email, messenger, or phone, as many online dating sites monitor for these scams. Watch for a relationship that seems to be moving fast: A catfisher will begin speaking of a future together and tell you they love you quickly. They often say they've never felt this way before. They are aiming to build up your trust and mess with your emotions quickly, so that they can request money sooner rather than later. 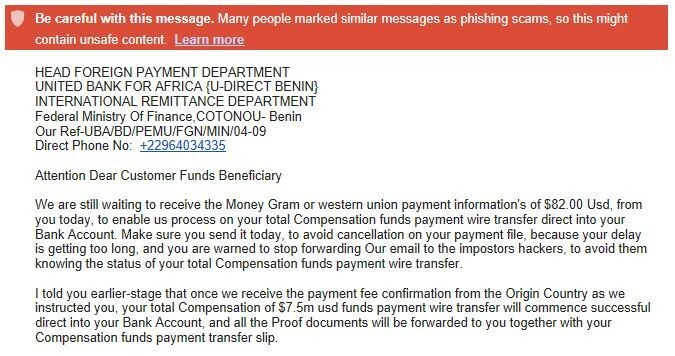 Fake pop ups and phishing emails attempting to steal your identity are all over the net these days. 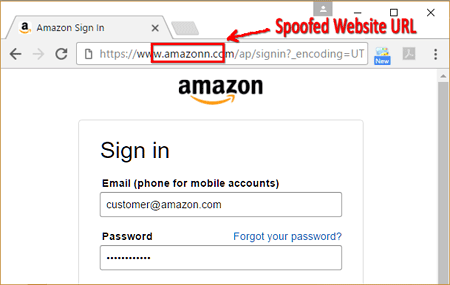 Stay extra cautious when opening any links requesting you to confirm your information, update your password, or for any “free promotions”. If you do click on the link, make sure that the website address, is pointing to the correct destination. Every, character, matters. Some hackers might attempt to steal your apple information by creating a fake website with the domain “applsupport.com” – This may look legitimate from a quick glance, but after a further look you can see the discrepancy. 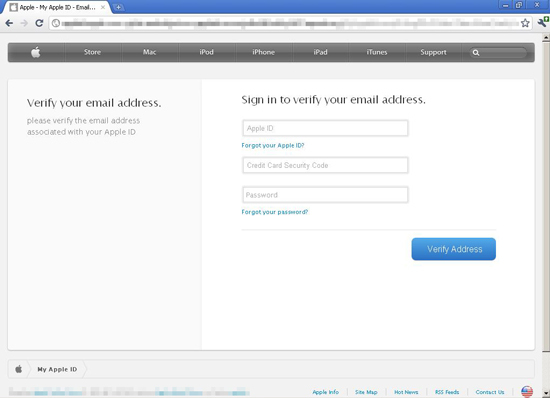 Here are a few known fake pop ups and phishing emails floating around the web today. 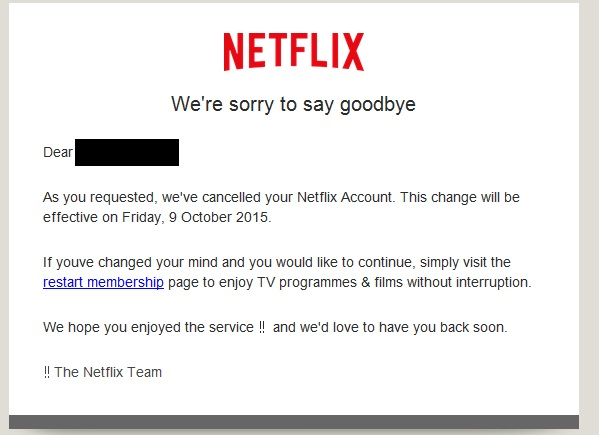 11/5 - This is the newest scam we have been seeing. Calls are coming in to US residents claiming their identity has been stolen, and the social security administration has "blocked" their SSN. 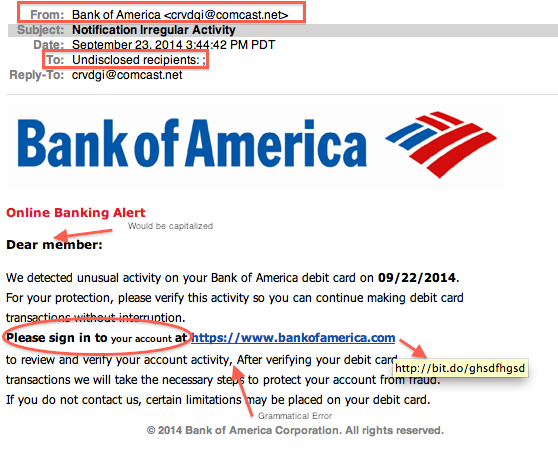 The fraudsters are requesting for information such as your name, zip code, and full social security number. A popular script has also included lines such as "federal police have stopped a car in Texas that was rented in your name and have found cocaine and blood". Be aware of these scare tactics. The Social Security Administration will never contact you asking to confirm your personal information. Please note: Some of these calls are coming in from masked numbers (showing up in your caller ID as an actual number from a US federal agency). We will be constantly updating this wiki as we discover new tactics and scripts used by attackers. Below are the references we have used to help compile this list, which you may visit for more info!